If you’re living with chronic neck and back pain, you could benefit from the services of a spine doctor at Tahoe Fracture & Orthopedic Medical Clinic’s Reno, Nevada, office. We understand how difficult it is to wake up in pain each morning and go to sleep with it each night, and we want to do everything possible to bring you relief from that struggle. Although a spine doctor at our office will generally recommend that patients first attempt a course of conservative treatment before turning to surgery, the experts on our team also have the skills and experience needed to perform various neck and back procedures, if necessary. For example, we routinely perform spinal decompression procedures, during which we remove whatever is exerting pressure in the spine and causing pain. We can also perform spinal fusions, during which we fuse adjacent vertebral bodies to enhance spinal stability. 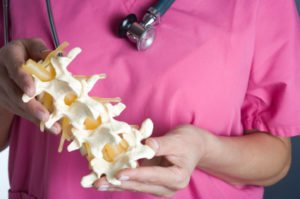 When you meet with a spine doctor at our office, he or she will discuss a potential treatment plan and let you know whether you might benefit from one of these procedures, or one of the many others available. If you’re searching for the solution to your chronic neck and back pain, please make an appointment with a spine doctor at our Reno, NV, office so that we can begin formulating a plan of treatment and get you on the road to recovery. At Tahoe Fracture & Orthopedic Medical Clinic, our goal is to restore your function, mobility, and quality of life.